The IPS strategy is to provide a single-source contract to our customers, which not only reduces management costs but streamlines the flow of information and project communication. For design services, our project managers direct a team of internal design professionals, leading to increased inter-discipline collaboration, comprehensive problem-solving, improved design integration, and maximized project value. Staff from various disciplines communicates and work together to make sure that the project is designed for constructability. We evaluate every option and come up with the best design and construction practices. This includes from technology selection to project commissioning. 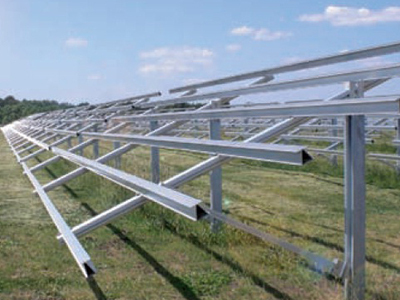 We look for the most optimum design to maximize the solar system energy production at the lowest possible cost for the best return on the investment to the system owner. We listen our customers and address issues that are important to them. We strive for the highest standard of quality in our work. Our focus is to provide the best possible value for our clients. Our project teams design each project for reliability and operational integrity, and provide on-going support and services once the project is completed.